At the E3P launch on the 5th of April 2016, in the afternoon period, a Parallel session on Products launched the discussion on what type of content should/could be present in the Products part of the European Energy Efficiency Platform. b)What could be contributed by participants? --> Smart metering is collecting a lot of data. Is Europe working on a way to collect and treat in order to use data collected by smart meters? A: Smart meter data is a still a question mark. User does not receive the up to date metering. Enervie- google of energy. provide a unique way to advice you to purchase a certain type of product. Covenant of Germany: Proposal for a call of use market data for market surveillance. Government of China: introduced a QR code on label of appliances. 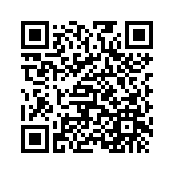 Data collection analysis with this QR code. Q: Is anyone in Europe looking into this examples and trying to implementing them? --> Enervie: Similar to Topten.eu. Useful if we could use this portal the data that it is available from EU funded studies. The portal could be used to collect all EC funded data. --> TO DO ? : Put a list of all initiatives gathering data. --> Labelling information: For policiy evaluation is very important tool for data analysis. Data collection on Labelling to be shared? --> Maybe the platform to share all non proprietary models? --> We can't highlight enough the importance the data of time of use of products. Very important on policy making. How consumers use them, in terms of modes, time of use. --> We can also have a section on Standards. A fiche to each product and standard so you can see the state of the standard. --> Ademe: recently big issue on cars measurements. In France a consumer association raised the same issue for appliances. Maybe methodology is not accurate? How could the platform could advertise that data is coming from the test measurements in order to inform consumers. --> What is the aim of the platform? Who is the user? If you put raw data, you need someone to treat the data --> For Researchers, Agencies, Policy makers. We populate the data, qualify the data and you have a place to get data on EE.